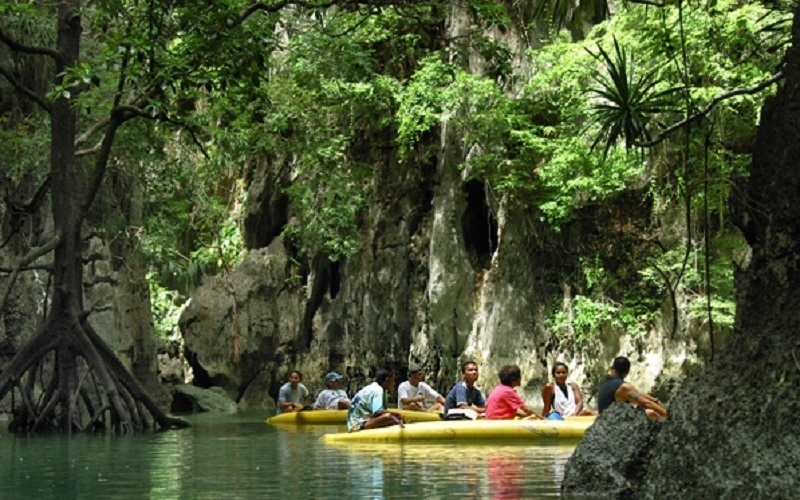 Feel like an island castaway as you navigate your kayak inside some of the area’s ‘Hongs’ (enclosed tidal lagoons) and stop to cool off with a swim at a secluded local beach. Your Phang Nga Bay Tour also includes a guide, lunch and round-trip hotel transport. 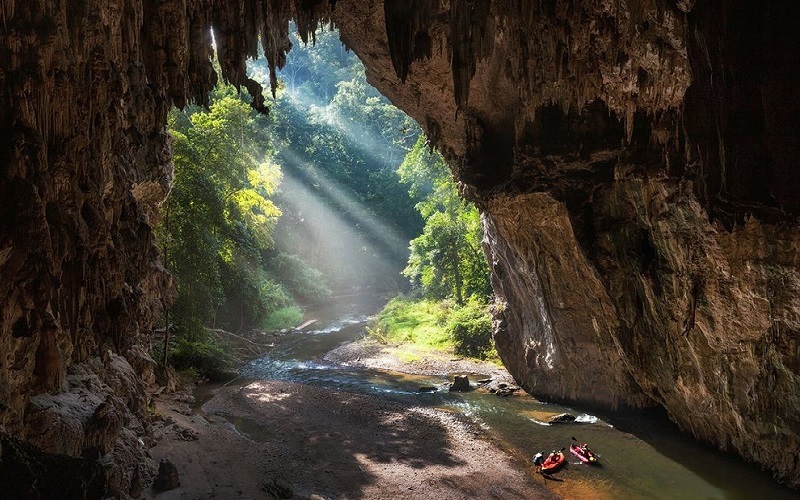 Paddle off for a day of adventure on this 7-hour kayaking tour of the caves, cliffs and islands in Phang Nga Bay. This surreal landscape, made famous by the James Bond film ‘Man With a Golden Gun,’ offers a wealth of fascinating geology and stunning scenery. 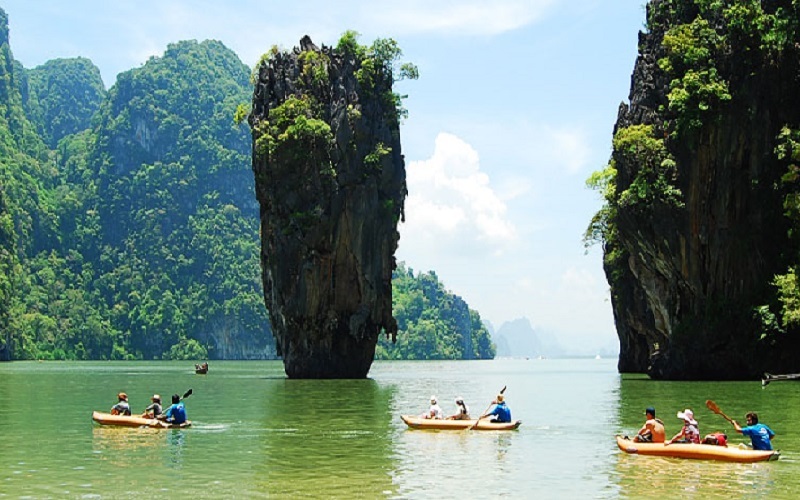 Kayak through the caves, islands and cliffs of Phang Nga Bay on this trip from Phuket Explore the surreal geology of Phang Nga Bay, made famous by the James Bond film 'Man With a Golden Gun' Navigate inside a 'Hong,' an enclosed tidal lagoon surrounded by steep cliffs on all sides Cool off with a swim on a secluded beach Great trip for nature lovers and those looking for outdoor adventure. 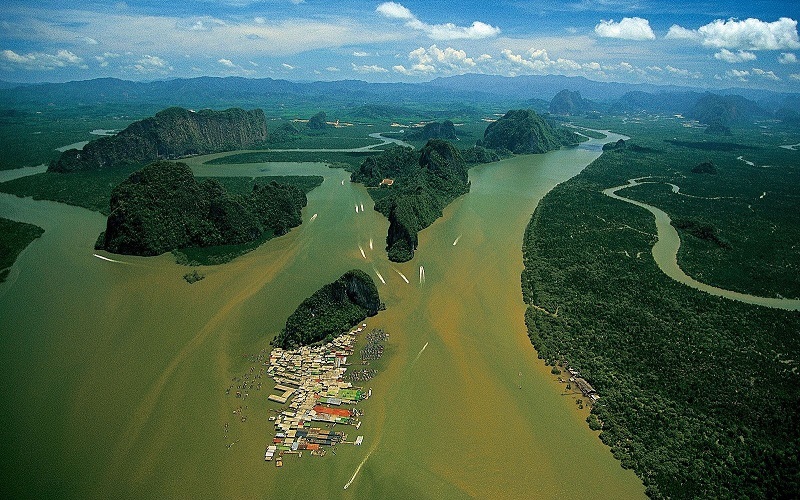 This is a unique experience that takes you into the famous Phang Nga Bay. 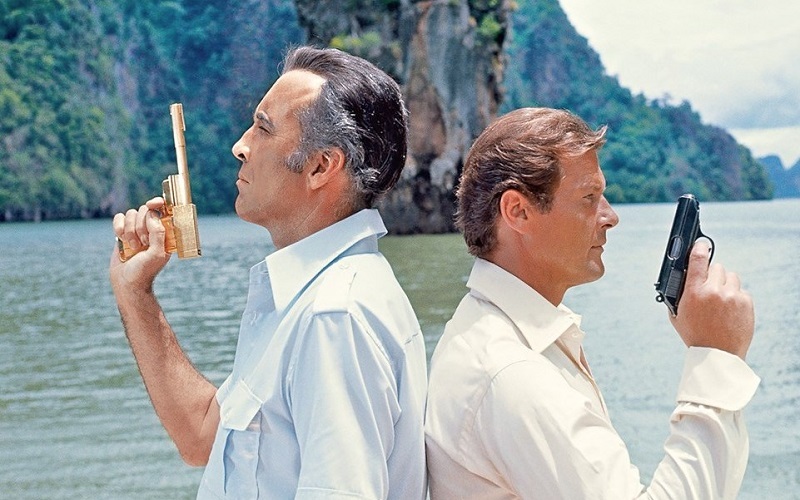 Made famous by the James Bond Movie - Man with a Golden Gun. The newly discovered sea caves and 'Hongs' are an exciting feature. Hong is the Thai word for room. 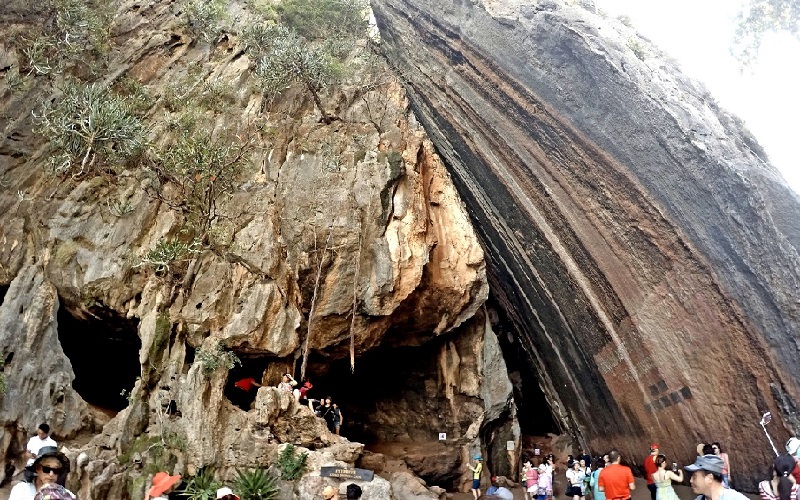 These Hongs are open-air cliff-lined cylindrical tidal lagoons connected to the outside world only through stalactite-filled tunnels which were undiscovered until the spring of 1990. Of course, there are many secluded beaches here and this trip would not be completed without visiting one for swimming. 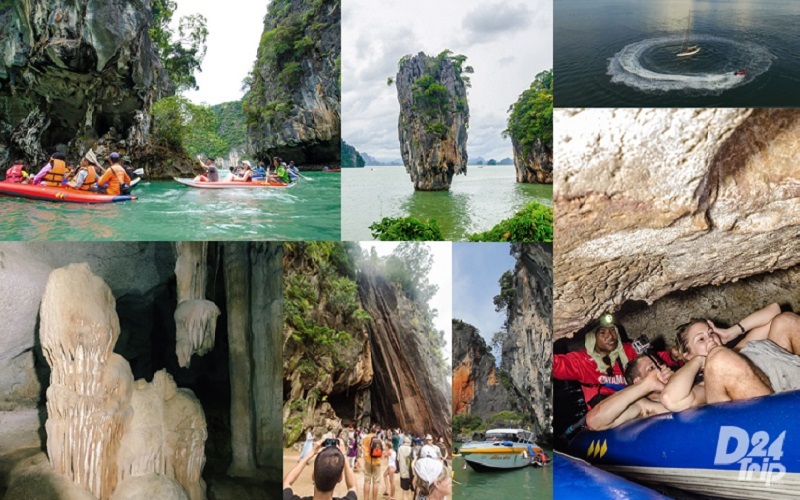 - Departure from the pier by speedboat to Hong Island for an Amazing canoeing scenery of Phang Nga bay, Panak Island for sightseeing and enjoy the fantastic limestones. 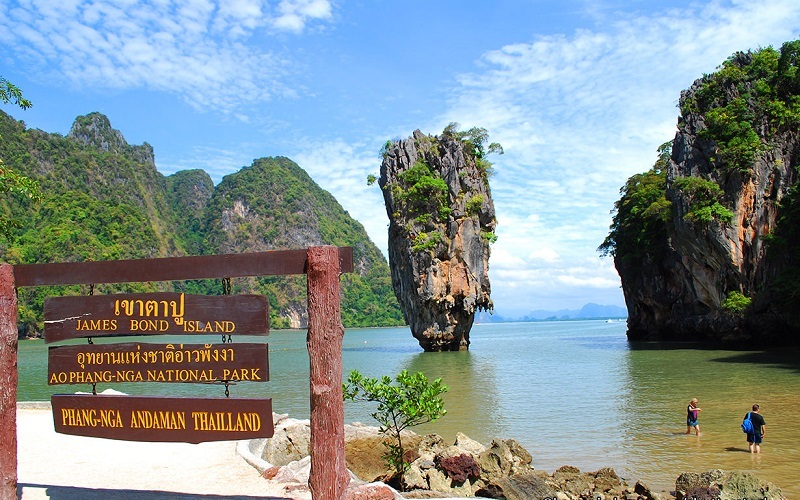 - Visit James Bond Island ( Khao Tapoo ) to explore the James Bond movie location where " the man with the Golden Gun " was filmed and khao ping kan (leaning rock). - Strolling into the cave. 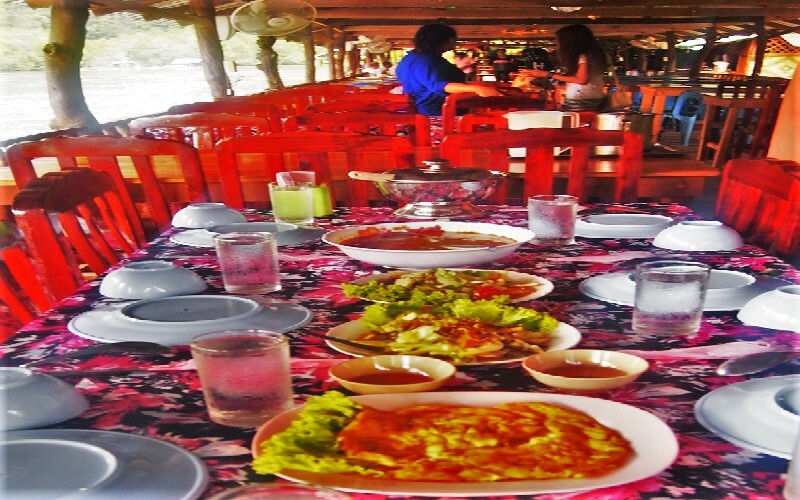 Enjoy the tasty local food on the floating Restaurant at Panyee Island. After lunch Relaxing a leisure your time. - Treat yourself by swimming relaxing on the beach at Naka or Lawa Island. Arrive back to the pier and transfer back to your hotel.